Arcade Fire are set to play 2 ‘secret’ gigs next month in Glasgow. 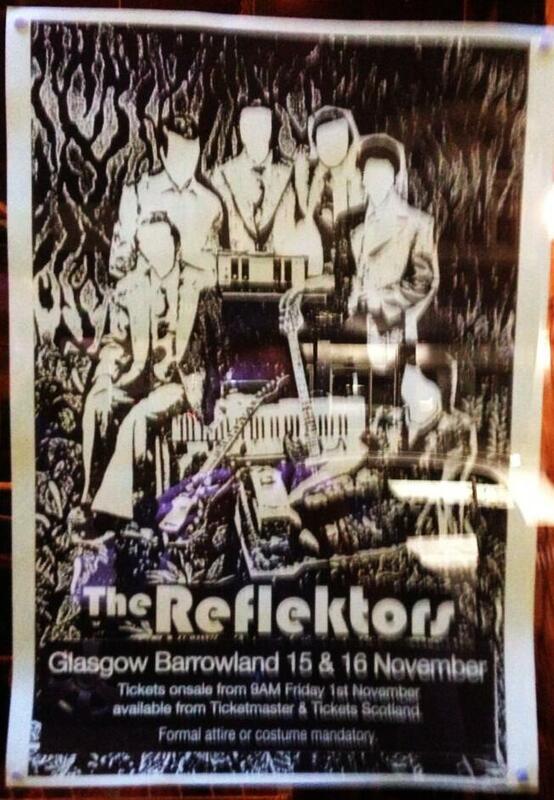 The Montreal based band, whose 4th album ‘Reflektor’ was released on Monday, have announced under their alter ego ‘The Reflektors’ they will play two shows at Barrowlands on the 15th and 16th of November. This follows an underground marketing campaign which has included graffiti and posters with the ‘reflektor’ symbol appearing in cities all around the world. 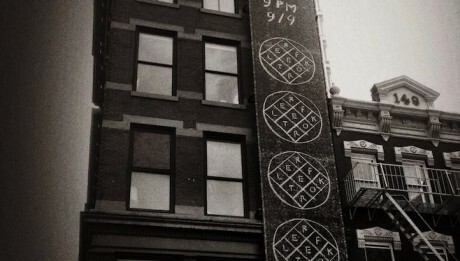 These latest shows came to light after a poster was spotted and posted on an Arcade Fire fan twitter account. The poster (see below) reads ‘ formal attire or costume’ which has become a recurring request with other secret shows in Blackpool, New York and Miami. The band who first came to the world’s attention with their seminal album ‘Funeral’ in 2004 have composed a series of critically acclaimed albums culminating in their Grammy-award winning 2010 album ‘The Suburbs’. However, their latest offering, produced by former LCD Soundsystem mastermind James Murphy has taken a new direction musically and has divided critics. The Guardian commented that ‘It sounds like the work of a band that has plenty of good ideas, but increasingly can’t tell them from their bad ones’ while the Telegraph have called it ‘ a baffingly brilliant art rock epic’ . Despite this division, their ability live has never come under question with the seven piece’s unique mix of instruments and styles fronted by the husband and wife partnership of Win Butler and Régine Chassagne creating an energy that few of their contemporaries can match. Consequently, despite the covert nature of the concert announcement, there is sure to be high demand. Tickets go on general sale on Friday (November 1) on Ticket Master for £30. The poster advertising the latest shows. The Mercury Awards comes under fire.